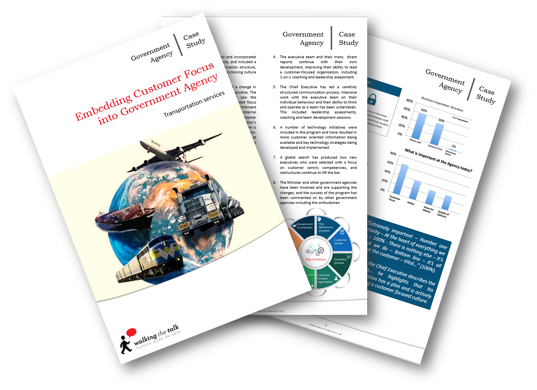 Thank you for your interest in our Government Agency Case Study. To download please complete and submit the form. For years this organisation has successfully provided some of the fundamental infrastructure services required by the community to go about its daily life. Because the organisation services the whole community, it continually has to juggle the potentially competing needs of different interest groups, as well as meet the political agenda demanded by the government ministers, and important issues of safety and long term planning which are often not immediately visible to users and the government.